(Photo courtesy of VCBO Architects) This is a rendering of a new science building that will be at Dixie State University. Weber State University’s engineering building is in a constant state of disrepair. Ceiling tiles come crashing down in the middle of hallways. The power goes out weekly. The heating seems to work only in the summer. And when David Ferro poked his head into one of the classrooms last month, the floor was flooded — but computer science students were still sitting in there studying because every other space was taken. “They were coding away and their feet were in water,” said Ferro, dean of engineering, applied science and technology at the northern Utah school. The building, constructed in 1957, has been on the state’s list for repairs for years, always considered for a remodel but never making the cut. In this year’s session, state lawmakers designated $50 million to Weber State to tear down the dilapidated structure and build a newer, bigger, better space. It’s one of the major higher education projects to get funding this year — with the Legislature appropriating the most money it ever has for the construction of buildings at Utah’s colleges and universities. Most of that funding, totaling more than $158 million, will be spent on science and business centers. David Buhler, Utah’s commissioner of higher education, helped prioritize which buildings should be funded. Ultimately, he said, it’s about meeting the state’s workforce needs for engineers, accountants and market analysts. And the focus is on the schools that are growing the fastest. 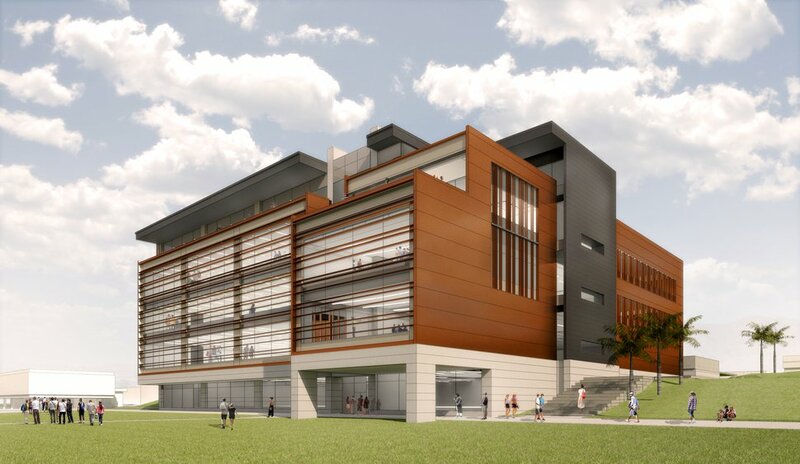 (Photo courtesy of Weber State University) This is a rendering of a new engineering and applied science building approved for construction at Weber State University. There are 3,200 students in Weber State’s engineering and computer programs — which make up more than 10% of the school’s population — and they continue to attract more each year. The Ogden campus houses those students in the one science building that’s currently crumbling. There aren’t enough classrooms. There aren’t any study spaces. And most of the faculty offices have been spread out across campus. Construction on the new project that will replace it is set to begin in June 2020 with the space opening sometime in 2021. The 143,000-square-foot project will be funded with $50 million from the Legislature, as well as $8 million in community donations. The biggest change will be new, updated lab space. (Photo courtesy of Method Studio) This is a rendering or a new business building planned for Utah Valley University's campus. 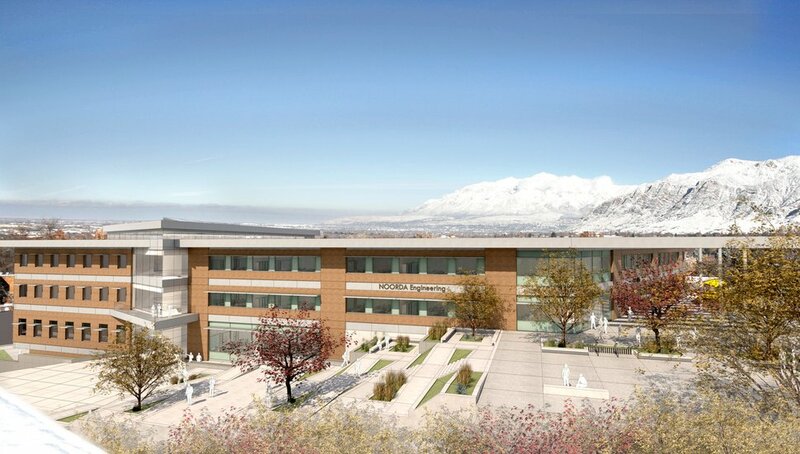 Utah Valley University’s new business building in Orem will be designed to look like a financial corporation’s office space. The point: Get students accustomed to working in that environment early so they’re better prepared for jobs when they graduate. “It’s going to be an exciting and fresh new take,” said Jacob Sybrowsky, associate dean of business there. The project will replace a building constructed in the 1970s to house several departments. More than anything, that structure is just too small. UVU is the largest and fastest growing college in the state with nearly 40,000 students. About 6,000 are business and business management majors. “In our current space, we’re limited,” Sybrowsky added. The 160,000-square-foot replacement will incorporate classrooms with professors’ offices, and there will be a “collaboration zone” for students to work together on projects and marketing research. There will also be the same stock-tracking technology systems throughout the building that are currently used on Wall Street. The school is still fundraising — in addition to the $50 million appropriated for this by the Legislature — with a groundbreaking set for fall 2021. The third major project to get funding this year, another $50 million, is a planned science building at Dixie State University. The southern Utah school has nearly 10,000 students and most of its facilities are older buildings — including an elementary school — converted into a campus. Its current science building, constructed in the 1960s, was not originally designed for classes or experiments. And some students are having to schedule lab time at 10 p.m on a Sunday just to get in. The new building, at 120,000 square feet, will be five stories tall with specialized equipment and labs. It will also house the mechanical engineering program, which was added in 2018, as the school expands more into the sciences. Construction will start this fall. The Legislature will change its process for approving higher education buildings and funding next year. Currently, colleges compete with all state agencies to win money for projects. But under a measure approved by lawmakers this session, there will now be a pot of $100 million in ongoing funding to be split among the eight public universities, which will pitch projects to the Utah System of Higher Education. “That will be a huge step forward,” Buhler said. Other funding appropriated this year includes $2 million for Southern Utah University to design a new technology building, $4 million for a cost overrun in creating the new performance center at UVU and $650,000 extra to finish a sports complex at Snow College.